Naver’s V Live is a stronger contender in the K-pop content battle, having weaponized the authentic livestreaming experience as its biggest selling point. BTS has over 13.4 million followers on V Live, just a million behind the number on one of the group’s Twitter accounts, @bts_bighit. 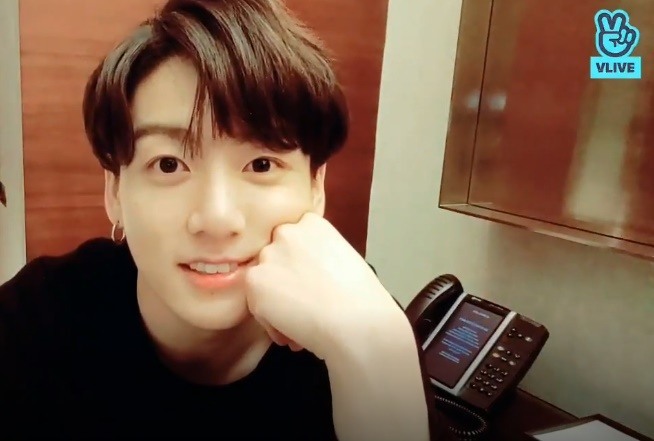 A recent livestream by Jungkook alone racked up over a whopping 5 million views. And Han Ah-reum, the head of the business department at V Live, says quality livestreaming is the South Korean platform’s biggest strength. “Entertainment agencies that have experienced livestreaming on different platforms have said that our technology is the best in terms of display quality as well as how fast subscribers are notified, which allows an overall smooth stream,” she told the Kpop Herald as she sat down for an interview at Naver’s headquarters just outside Seoul. Han sounded determined to see the video platform excel together with the K-pop industry as she recalled an anecdote that speaks volumes about the global nature of V Live. When she was visiting the US, she saw a shopper watching a video on the platform, which she said made her proud of how far the platform has come. Over 80 percent of V Live users are female, and most are younger than 24. And there are just over 1,000 channels, over half of which are K-pop channels, but each one is run differently. She explains that this strategy has allowed the group to lock users into each platform and has inspired other stars to follow suit. The demographics of each fandom community are different too. While Blackpink, Monsta X and GOT7 are more popular abroad, despite its strong global presence BTS still has the biggest number of followers in Korea. With social media giants like Twitter increasingly focusing on K-pop, the question lingers -- how will V Live manage to hold onto stars like BTS? “Many people might have the same question but I don’t see any good reason why BTS would do away with their 13 million fans and all the data since 2015 on their channel, when all of it is their asset. It’s one of their spaces where they can reach global fans when they make a comeback, for instance,” Han said, sounding proud of the platform’s role.